What do Greater Charleroi residents enjoy at the Ferme de Martinrou ? A surprising mix of creativity, boldness and pleasure through the organisation of artistic workshops and shows. ‘We prioritise beauty and looking for the venue’s light. This farm is built in a way that means there is light everywhere’, explains Bernard Tirtiaux, owner of the Ferme de Martinrou and founder of the artistic project. ‘We planted trees, installed a pond, we wanted this place to be beautiful’. Bernard Tirtiaux rebought the family farm in 1980 to transform it into a cultural and creative venue. He renovated it primarily with recovered materials that he had picked up here and there. 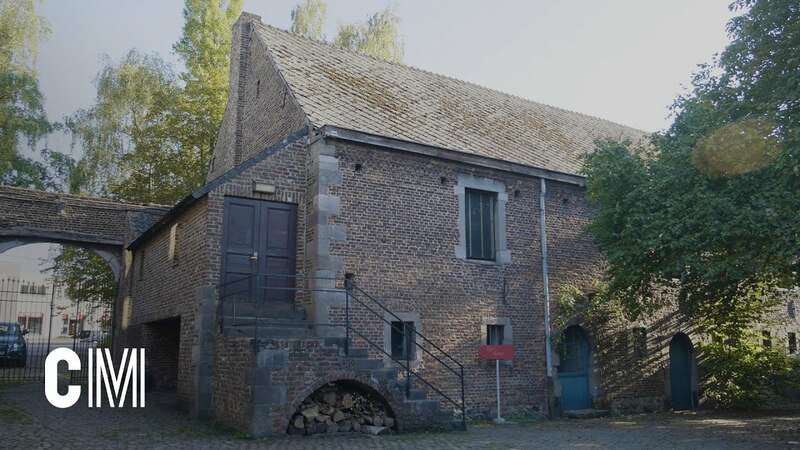 Since its beginnings, the Ferme de Martinrou has been a recognised place of cultural interest in Charleroi Métropole. 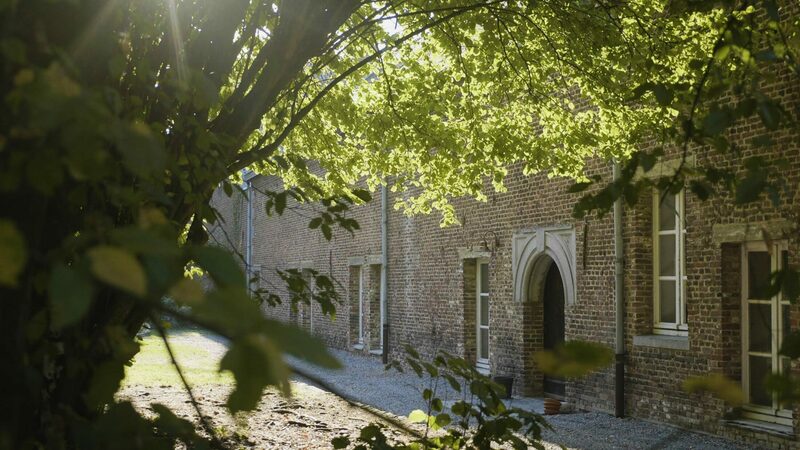 The Ferme de Martinrou encourages creativity at all levels. A number of artists live on-site. There are seven rental spaces, as well as the house and workshop of Bernard Tirtiaux, a master glassmaker. A ‘bubble house’, also called ‘knitting house’, was built at the bottom of the garden in the 80s. This modular residence is designed to be curved. It is made from plaster and glass wool. The interior has been designed to be practical, there is no wasted space. ‘We imagined this house with friends, we took a lot of pleasure from building it. It resembles a hobbit house. It could be a good alternative to the current housing crisis’, explains Bernard Tirtiaux. A number of creative workshops are also organised at the farm. ‘We really focus on the quality of the workshops. All of the workshop leaders are professional artists, renowned in their particular areas’, explains Lisou Radar, coordinator of the Ferme de Martinrou non-profit. The workshops are designed for children, young people and adults. ‘We have been putting on shows here for 40 years. We focus on boldness, we have invented a lot here. For example, we show a film or we organise an improvisation show designed for children which is also a babysitting service, if their parents are watching a play’, explains Bernard Tirtiaux. Nine adult shows and eight designed for a young audience are scheduled during the year. The people responsible for scheduling the shows attend all of the performances before choosing them and organising them at the farm. ‘We want shows that move us, that make us laugh, that surprise us. We want the audience to have a good time’, says Lisou Radar. ‘They fully trust our choices. We offer very different things, but they are all enjoyable, each in their own way’. The farm has two theatres. The Petit Théâtre, has wooden benches and 90 seats and the Grande Salle has 264 seats. The farm has more than a thousand subscribers. 80% of them come from Charleroi Métropole. The audience is attracted to the performances but also to the place itself. The farm is easy to access (it is located just next to the motorway) and has a car park. The family aspect is also a significant asset. ‘A number of people follow us primarily for the quality of the welcome. We know the subscribers, the seats that they like, where they feel good’, she says. The bar and the meal also add to the friendly atmosphere. A menu is offered to the audience before each performance. Le Germoir, socio-professional integration restaurant, offers a starter, main course and dessert alongside the theatres. Special drinks and beers are also sold before and after the show. An excuse for getting actors and audience members to mingle. ‘In general, the actors come and have a drink at the bar after the performance, it’s really nice for the audience’, she says. The bar-restaurant has hosted exhibitions for a while. The farm can also be hired for private events. In the future, ferme de Martinrou will welcome a new director. An opportunity for the theatre team to innovate, with perhaps the possibility of performing their own creations.